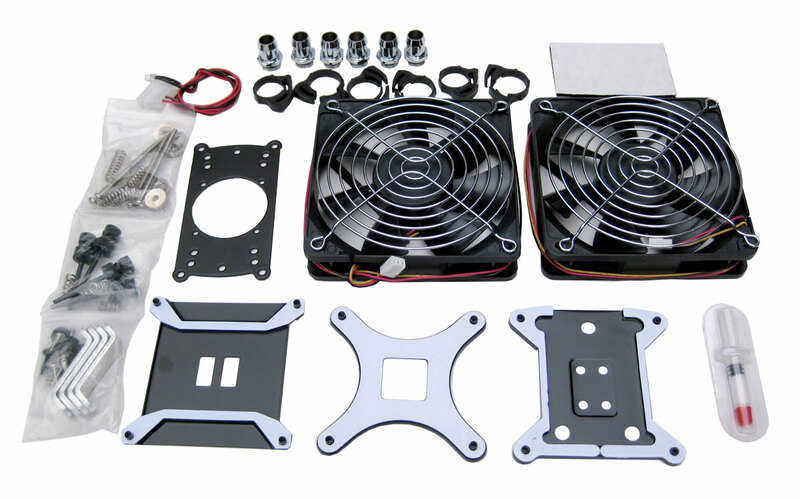 This complete water-cooling kit comes with everything you need to keep your hardware running cool and looking great. With a block specifically designed for multi-core CPUs and great compatibility with both Intel and AMD, this is your universal solution. You even get your choice of silver or black reservoir faceplates to match your style!